Will Israeli FM appologize to Poland over Nazi collaboration comments? A Polish government official says Warsaw is still waiting for Israel's government to apologize for comments the acting foreign minister made about Poles and their role in the Holocaust. Deputy Foreign Minister Szymon Szynkowski vel Sek said Tuesday the "shameful, scandalous and slanderous" comments by the Israeli minister, Israel Katz, require an "unequivocal and definite" reaction. He said it was up to Israel to choose the form the apology takes and how it is delivered. Katz said last week that Poles collaborated with Nazi Germans and "sucked anti-Semitism with their mothers' milk." 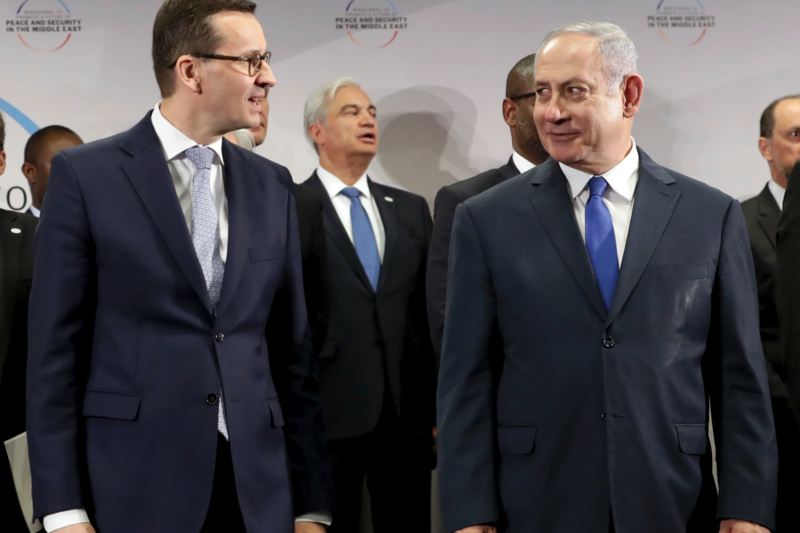 The remarks prompted Poland to pull out of a summit of central European nations in Jerusalem and the summit was canceled. Israeli Prime Minister Benjamin Netanyahu instead hosted a series of sit-downs Tuesday with his Czech, Slovakian and Hungarian counterparts.